In this article we will walk you through how to log in to the Educa Touch app on your Android mobile device. Before being able to follow these steps you will need to have downloaded and installed the app. 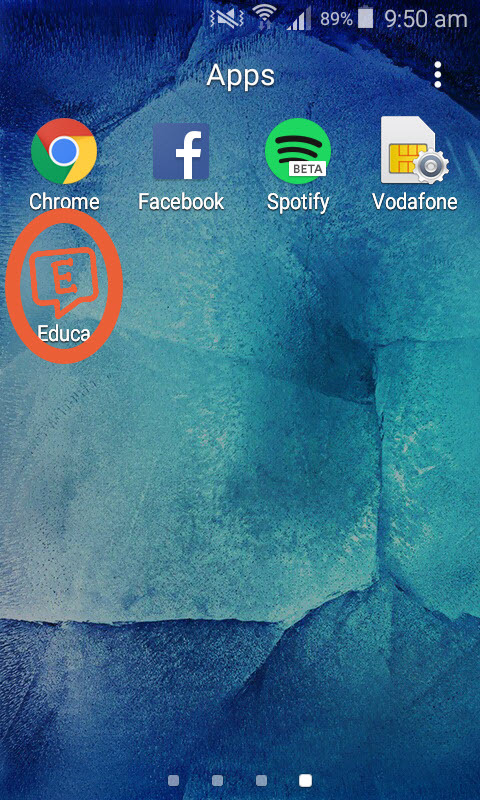 1: Open the Android Educa Touch app on your device by clicking on the application's icon shown below in your apps menu. The Educa Touch app will then start up and you will see two input boxes for you to enter your log in details (seen in the screenshot below). 2: Enter your email address in the username input box and your password into the password input box below. 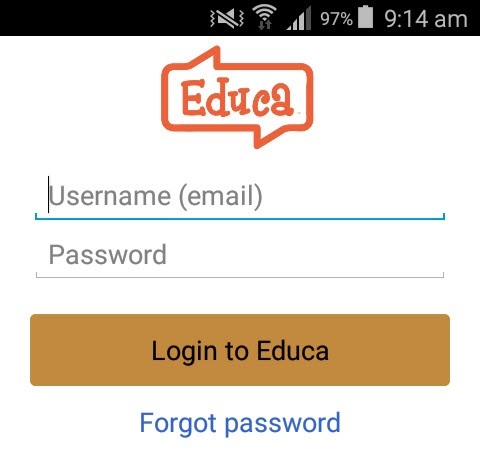 3: Tap the "Login to Educa" button underneath these input boxes to sign into the app. This probably means there is a typo in the email address you entered, or that there is no account linked to the email address you are using.  Please note that you will need to have an Educa account already set up to use the Educa Touch app. Double check that your email is spelt correctly, and that there are no 'spaces' before or after the email address. Sometimes phones and tablets automatically add a space after your email address, which will cause this error. This probably means the password is incorrect. You might need to reset your password.